***USB PORTS***, ***MOONROOF / SUNROOF***, ***BACK UP CAMERA***, ***INTERIOR EQUIPMENT POWER GROUP***, ***POWER DRIVER SEAT***, ***NON-SMOKER***, ***LEATHER AND LOADED***, ***HEATED FRONT SEATS***, ***PREMIUM WHEELS***, ***PLENTY OF POWER AND FUEL EFFIECIENT***, ***REMAINDER OF FACTORY WARRANTY***, **NO PRESSURE SALES STAFF**, LEATHER INTERIOR, *LOCAL TRADE IN*, HEATED STEERING WHEEL, NOT A RENTAL VEHICLE. 20/26 City/Highway MPG *Sales price includes $500-1,000 finance discount. You must finance with Ally Bank, Chrysler Capital or one of our Credit Unions to obtain the $500-1000 finance discount. Factory subsidized interest rate loans are not eligible. If you do not finance or lease, then you are not eligible for the $1000 finance discount and your sale price will increase by $500-1000. Internet price and payments subject to change at Dealer discretion. Check with dealer for most updated information. To see more vehicles like this one right here just click on http://www.saltlakevalleychryslerdodgeramjeep.com/ or dial 801-484-8755. ***USB PORTS***, ***MOONROOF / SUNROOF***, ***BACK UP CAMERA***, ***INTERIOR EQUIPMENT POWER GROUP***, ***POWER DRIVER SEAT***, ***NON-SMOKER***, ***LEATHER AND LOADED***, ***HEATED FRONT SEATS***, ***PREMIUM WHEELS***, ***LOW MILES***, ***PLENTY OF POWER AND FUEL EFFIECIENT***, ***REMAINDER OF FACTORY WARRANTY***, **NO PRESSURE SALES STAFF**, LEATHER INTERIOR, HEATED STEERING WHEEL, NOT A RENTAL VEHICLE. Odometer is 18399 miles below market average! 20/26 City/Highway MPG *Sales price includes $500-1,000 finance discount. You must finance with Ally Bank, Chrysler Capital or one of our Credit Unions to obtain the $500-1000 finance discount. Factory subsidized interest rate loans are not eligible. If you do not finance or lease, then you are not eligible for the $1000 finance discount and your sale price will increase by $500-1000. Internet price and payments subject to change at Dealer discretion. Check with dealer for most updated information. To see more vehicles like this one right here just click on http://www.saltlakevalleychryslerdodgeramjeep.com/ or dial 801-484-8755. Odometer is 9972 miles below market average! 21/28 City/Highway MPG CARFAX One-Owner. Clean CARFAX. To see more quality vehicles like this one http://www.SLVBUICKGMC.com/ or dial 801-265-1511.. Sales Tax, Title, Registration, License Fee's and Dealer Documentary Fee's are additional to the advertised price. Any purchase negotiated with someone other than the Internet Sales Department will NOT be renegotiated after the sale. Odometer is 8051 miles below market average! 21/29 City/Highway MPG *Sales price includes $500-1,000 finance discount. You must finance with Ally Bank, Chrysler Capital or one of our Credit Unions to obtain the $500-1000 finance discount. Factory subsidized interest rate loans are not eligible. If you do not finance or lease, then you are not eligible for the $1000 finance discount and your sale price will increase by $500-1000. Internet price and payments subject to change at Dealer discretion. Check with dealer for most updated information. Clean CARFAX. Awards: * 2016 KBB.com 10 Best SUVs Under $25,000 * 2016 KBB.com 10 Best All-Wheel Drive Vehicles Under $25,000 * 2016 KBB.com 10 Most Fun SUVs To see more vehicles like this one right here just click on http://www.saltlakevalleychryslerdodgeramjeep.com/ or dial 801-484-8755. ***USB PORTS***, ***INTERIOR EQUIPMENT POWER GROUP***, ***NON-SMOKER***, ***PUSH BUTTON IGNITION***, ***ALLOY WHEELS***, ***LOW MILES***, ***PLENTY OF POWER AND FUEL EFFIECIENT***, ***REMAINDER OF FACTORY WARRANTY***, ***ONE OWNER CARFAX***, **NO PRESSURE SALES STAFF**, *MANUAL TRANSMISSION*, NOT A RENTAL VEHICLE. Odometer is 10395 miles below market average! 22/31 City/Highway MPG *Sales price includes $500-1,000 finance discount. You must finance with Ally Bank, Chrysler Capital or one of our Credit Unions to obtain the $500-1000 finance discount. Factory subsidized interest rate loans are not eligible. If you do not finance or lease, then you are not eligible for the $1000 finance discount and your sale price will increase by $500-1000. Internet price and payments subject to change at Dealer discretion. Check with dealer for most updated information. CARFAX One-Owner. To see more vehicles like this one right here just click on http://www.saltlakevalleychryslerdodgeramjeep.com/ or dial 801-484-8755. 2018 Jeep Compass Latitude 22/30 City/Highway MPG ***BLUETOOTH WIRELESS / HANDS FREE***, ***APPLE CAR PLAY***, ***ANDROID CAR PLAY***, ***NAVIGATION / GPS***, ***ACTIVE BLIND SPOT MONITOR***, ***PARKING SENSORS***, ***BACK UP CAMERA***, ***POWER DRIVER SEAT***, ***PUSH BUTTON IGNITION***, ***KEYLESS ENTRY***, ***HEATED FRONT SEATS***, ***ALLOY WHEELS***, ***CLEAN CARFAX***, ***ONE OWNER CARFAX***, 115V Auxiliary Power Outlet, 4-Way Power Lumbar Adjust, 4-Wheel Disc Brakes, 7.0" Touch Screen Display, ABS brakes, Advanced Safety & Lighting Group, Air Conditioning, All-Season Floor Mats, Anti-whiplash front head restraints, Auto High Beam Headlamp Control, Auto-Dimming Rear-View Mirror, Bi-Xenon High-Intensity Discharge Headlamps, Blind Spot & Cross Path Detection, Cluster 7.0" Color Driver Info Display, Cold Weather Group, Dual front impact airbags, Dual front side impact airbags, Four wheel independent suspension, Front anti-roll bar, Heated Front Seats, Heated Steering Wheel, Knee airbag, Lane Departure Warning Plus, Low tire pressure warning, Occupant sensing airbag, Overhead airbag, ParkSense Rear Park Assist System, Popular Equipment Group, Power 8-Way Driver/Manual 6-Way Passenger Seats, Power steering, Power windows, Rain Sensitive/Intermittent Wipers, Rear anti-roll bar, Rear window defroster, Remote keyless entry, Reversible Carpet/Vinyl Cargo Mat, Safe & Security Group, Security Alarm, Steering wheel mounted audio controls, Traction control, Windshield Wiper De-Icer. CARFAX One-Owner. Clean CARFAX. To see more quality vehicles like this one right here just click www.guspaulos.com or dial 801-969-8221. Odometer is 23384 miles below market average! 21/29 City/Highway MPG *Sales price includes $500-1,000 finance discount. You must finance with Ally Bank, Chrysler Capital or one of our Credit Unions to obtain the $500-1000 finance discount. Factory subsidized interest rate loans are not eligible. If you do not finance or lease, then you are not eligible for the $1000 finance discount and your sale price will increase by $500-1000. Internet price and payments subject to change at Dealer discretion. Check with dealer for most updated information. CARFAX One-Owner. Clean CARFAX. Awards: * 2017 KBB.com 10 Best All-Wheel-Drive Vehicles Under $25,000 * 2017 KBB.com 10 Coolest New Cars Under $18,000 * 2017 KBB.com 10 Most Awarded Brands To see more vehicles like this one right here just click on http://www.saltlakevalleychryslerdodgeramjeep.com/ or dial 801-484-8755. Odometer is 27350 miles below market average! 21/29 City/Highway MPG *Sales price includes $500-1,000 finance discount. You must finance with Ally Bank, Chrysler Capital or one of our Credit Unions to obtain the $500-1000 finance discount. Factory subsidized interest rate loans are not eligible. If you do not finance or lease, then you are not eligible for the $1000 finance discount and your sale price will increase by $500-1000. Internet price and payments subject to change at Dealer discretion. Check with dealer for most updated information. CARFAX One-Owner. Clean CARFAX. Awards: * 2017 KBB.com 10 Coolest New Cars Under $18,000 * 2017 KBB.com 10 Best All-Wheel-Drive Vehicles Under $25,000 * 2017 KBB.com 10 Most Awarded Brands To see more vehicles like this one right here just click on http://www.saltlakevalleychryslerdodgeramjeep.com/ or dial 801-484-8755. ***USB PORTS***, ***NAVIGATION / GPS***, ***ACTIVE BLIND SPOT MONITOR***, ***COLLISION WARNING SYSTEM***, ***PARKING SENSORS***, ***BACK UP CAMERA***, ***INTERIOR EQUIPMENT POWER GROUP***, ***POWER DRIVER SEAT***, ***NON-SMOKER***, ***LEATHER AND LOADED***, ***PUSH BUTTON IGNITION***, ***KEYLESS ENTRY***, ***REMOTE START***, ***HEATED FRONT SEATS***, ***ALLOY WHEELS***, ***LOW MILES***, ***PLENTY OF POWER AND FUEL EFFIECIENT***, ***REMAINDER OF FACTORY WARRANTY***, ***CLEAN CARFAX***, ***ONE OWNER CARFAX***, ***CERTIFIED***, **NO PRESSURE SALES STAFF**, HEATED STEERING WHEEL. 22/30 City/Highway MPG *Sales price includes $500-1,000 finance discount. You must finance with Ally Bank, Chrysler Capital or one of our Credit Unions to obtain the $500-1000 finance discount. Factory subsidized interest rate loans are not eligible. If you do not finance or lease, then you are not eligible for the $1000 finance discount and your sale price will increase by $500-1000. Internet price and payments subject to change at Dealer discretion. Check with dealer for most updated information. CARFAX One-Owner. Clean CARFAX. Certified. FCA US Certified Pre-Owned Details: * Limited Warranty: 3 Month/3,000 Mile (whichever comes first) after new car warranty expires or from certified purchase date * Includes First Day Rental, Car Rental Allowance, and Trip Interruption Benefits * Roadside Assistance * Vehicle History * 125 Point Inspection * Warranty Deductible: $100 * Transferable Warranty * Powertrain Limited Warranty: 84 Month/100,000 Mile (whichever comes first) from original in-service date To see more vehicles like this one right here just click on http://www.saltlakevalleychryslerdodgeramjeep.com/ or dial 801-484-8755. ***MOONROOF / SUNROOF***, ***BACK UP CAMERA***, ***INTERIOR EQUIPMENT POWER GROUP***, ***POWER DRIVER SEAT***, ***NON-SMOKER***, ***LEATHER AND LOADED***, ***PUSH BUTTON IGNITION***, ***KEYLESS ENTRY***, ***REMOTE START***, ***HEATED FRONT SEATS***, ***ALLOY WHEELS***, ***TOW PACKAGE / TRAILER HITCH***, ***REMAINDER OF FACTORY WARRANTY***, **NO PRESSURE SALES STAFF**, LEATHER INTERIOR, *LOCAL TRADE IN*, 5.7 V8 HEMI, HEATED STEERING WHEEL, NOT A RENTAL VEHICLE. Odometer is 11215 miles below market average! *Sales price includes $500-1,000 finance discount. You must finance with Ally Bank, Chrysler Capital or one of our Credit Unions to obtain the $500-1000 finance discount. Factory subsidized interest rate loans are not eligible. If you do not finance or lease, then you are not eligible for the $1000 finance discount and your sale price will increase by $500-1000. Internet price and payments subject to change at Dealer discretion. Check with dealer for most updated information. Awards: * 2014 IIHS Top Safety Pick To see more vehicles like this one right here just click on http://www.saltlakevalleychryslerdodgeramjeep.com/ or dial 801-484-8755. ***USB PORTS***, ***NAVIGATION / GPS***, ***ACTIVE BLIND SPOT MONITOR***, ***PARKING SENSORS***, ***BACK UP CAMERA***, ***INTERIOR EQUIPMENT POWER GROUP***, ***POWER DRIVER SEAT***, ***NON-SMOKER***, ***LEATHER AND LOADED***, ***PUSH BUTTON IGNITION***, ***KEYLESS ENTRY***, ***REMOTE START***, ***HEATED FRONT SEATS***, ***ALLOY WHEELS***, ***LOW MILES***, ***PLENTY OF POWER AND FUEL EFFIECIENT***, ***TOW PACKAGE / TRAILER HITCH***, ***REMAINDER OF FACTORY WARRANTY***, ***CLEAN CARFAX***, ***ONE OWNER CARFAX***, CERTIFIED, **NO PRESSURE SALES STAFF**, LEATHER INTERIOR, *TOUCH SCREEN*, HEATED STEERING WHEEL, BACK UP SENSOR. 22/30 City/Highway MPG *Sales price includes $500-1,000 finance discount. You must finance with Ally Bank, Chrysler Capital or one of our Credit Unions to obtain the $500-1000 finance discount. Factory subsidized interest rate loans are not eligible. If you do not finance or lease, then you are not eligible for the $1000 finance discount and your sale price will increase by $500-1000. Internet price and payments subject to change at Dealer discretion. Check with dealer for most updated information. CARFAX One-Owner. Clean CARFAX. Certified. FCA US Certified Pre-Owned Details: * Vehicle History * Limited Warranty: 3 Month/3,000 Mile (whichever comes first) after new car warranty expires or from certified purchase date * Powertrain Limited Warranty: 84 Month/100,000 Mile (whichever comes first) from original in-service date * 125 Point Inspection * Transferable Warranty * Roadside Assistance * Includes First Day Rental, Car Rental Allowance, and Trip Interruption Benefits * Warranty Deductible: $100 To see more vehicles like this one right here just click on http://www.saltlakevalleychryslerdodgeramjeep.com/ or dial 801-484-8755. ***BLUETOOTH WIRELESS / HANDS FREE***, ***USB PORTS***, ***NAVIGATION / GPS***, ***COLLISION WARNING SYSTEM***, ***PARKING SENSORS***, ***BACK UP CAMERA***, ***INTERIOR EQUIPMENT POWER GROUP***, ***POWER DRIVER SEAT***, ***NON-SMOKER***, ***PUSH BUTTON IGNITION***, ***KEYLESS ENTRY***, ***REMOTE START***, ***HEATED FRONT SEATS***, ***ALLOY WHEELS***, ***LOW MILES***, ***PLENTY OF POWER AND FUEL EFFIECIENT***, ***REMAINDER OF FACTORY WARRANTY***, ***ONE OWNER CARFAX***, ***CERTIFIED***, **NO PRESSURE SALES STAFF**. 22/30 City/Highway MPG *Sales price includes $500-1,000 finance discount. You must finance with Ally Bank, Chrysler Capital or one of our Credit Unions to obtain the $500-1000 finance discount. Factory subsidized interest rate loans are not eligible. If you do not finance or lease, then you are not eligible for the $1000 finance discount and your sale price will increase by $500-1000. Internet price and payments subject to change at Dealer discretion. Check with dealer for most updated information. CARFAX One-Owner. Clean CARFAX. Certified. FCA US Certified Pre-Owned Details: * Limited Warranty: 3 Month/3,000 Mile (whichever comes first) after new car warranty expires or from certified purchase date * Includes First Day Rental, Car Rental Allowance, and Trip Interruption Benefits * 125 Point Inspection * Roadside Assistance * Transferable Warranty * Warranty Deductible: $100 * Powertrain Limited Warranty: 84 Month/100,000 Mile (whichever comes first) from original in-service date * Vehicle History To see more vehicles like this one right here just click on http://www.saltlakevalleychryslerdodgeramjeep.com/ or dial 801-484-8755. ***BLUETOOTH WIRELESS / HANDS FREE***, ***USB PORTS***, ***MOONROOF / SUNROOF***, ***NAVIGATION / GPS***, ***ACTIVE BLIND SPOT MONITOR***, ***PREMIUM SOUND***, ***BACK UP CAMERA***, ***INTERIOR EQUIPMENT POWER GROUP***, ***POWER DRIVER SEAT***, ***NON-SMOKER***, ***LEATHER AND LOADED***, ***PUSH BUTTON IGNITION***, ***KEYLESS ENTRY***, ***REMOTE START***, ***HEATED FRONT SEATS***, ***PREMIUM WHEELS***, ***PLENTY OF POWER AND FUEL EFFIECIENT***, ***REMAINDER OF FACTORY WARRANTY***, ***CLEAN CARFAX***, ***ONE OWNER CARFAX***, ***CERTIFIED***, **NO PRESSURE SALES STAFF**, LEATHER INTERIOR, *LOCAL TRADE IN*, HEATED STEERING WHEEL, BACK UP SENSOR, NOT A RENTAL VEHICLE. *Sales price includes $500-1,000 finance discount. You must finance with Ally Bank, Chrysler Capital or one of our Credit Unions to obtain the $500-1000 finance discount. Factory subsidized interest rate loans are not eligible. If you do not finance or lease, then you are not eligible for the $1000 finance discount and your sale price will increase by $500-1000. Internet price and payments subject to change at Dealer disgression. Check with dealer for most updated information. CARFAX One-Owner. Clean CARFAX. Certified. FCA US Certified Pre-Owned Details: * Roadside Assistance * Limited Warranty: 3 Month/3,000 Mile (whichever comes first) after new car warranty expires or from certified purchase date * Vehicle History * Warranty Deductible: $100 * Powertrain Limited Warranty: 84 Month/100,000 Mile (whichever comes first) from original in-service date * Transferable Warranty * 125 Point Inspection * Includes First Day Rental, Car Rental Allowance, and Trip Interruption Benefits Awards: * Green Car Journal 2015 Green SUV of the Year Based on 2017 EPA mileage ratings. Use for comparison purposes only. Your mileage will vary depending on how you drive and maintain your vehicle, driving conditions and other factors. To see more vehicles like this one right here just click on http://www.saltlakevalleychryslerdodgeramjeep.com/ or dial 801-484-8755. ***BLUETOOTH WIRELESS / HANDS FREE***, ***USB PORTS***, ***ACTIVE BLIND SPOT MONITOR***, ***PREMIUM SOUND***, ***BACK UP CAMERA***, ***INTERIOR EQUIPMENT POWER GROUP***, ***POWER DRIVER SEAT***, ***NON-SMOKER***, ***LEATHER AND LOADED***, ***PUSH BUTTON IGNITION***, ***KEYLESS ENTRY***, ***REMOTE START***, ***HEATED FRONT SEATS***, ***PREMIUM WHEELS***, ***LOW MILES***, ***PLENTY OF POWER AND FUEL EFFIECIENT***, ***TOW PACKAGE / TRAILER HITCH***, ***REMAINDER OF FACTORY WARRANTY***, ***CLEAN CARFAX***, ***ONE OWNER CARFAX***, **NO PRESSURE SALES STAFF**, LEATHER INTERIOR, NOT A RENTAL VEHICLE. Odometer is 5954 miles below market average! 20/27 City/Highway MPG *Sales price includes $500-1,000 finance discount. You must finance with Ally Bank, Chrysler Capital or one of our Credit Unions to obtain the $500-1000 finance discount. Factory subsidized interest rate loans are not eligible. If you do not finance or lease, then you are not eligible for the $1000 finance discount and your sale price will increase by $500-1000. Internet price and payments subject to change at Dealer discretion. Check with dealer for most updated information. CARFAX One-Owner. Clean CARFAX. To see more vehicles like this one right here just click on http://www.saltlakevalleychryslerdodgeramjeep.com/ or dial 801-484-8755. ***BLUETOOTH WIRELESS / HANDS FREE***, ***USB PORTS***, ***ACTIVE BLIND SPOT MONITOR***, ***BACK UP CAMERA***, ***INTERIOR EQUIPMENT POWER GROUP***, ***POWER DRIVER SEAT***, ***NON-SMOKER***, ***LEATHER AND LOADED***, ***PUSH BUTTON IGNITION***, ***KEYLESS ENTRY***, ***REMOTE START***, ***HEATED FRONT SEATS***, ***ALLOY WHEELS***, ***LOW MILES***, ***FUEL EFFIECIENT WITH PLENTY OF POWER***, ***TOW PACKAGE / TRAILER HITCH***, ***REMAINDER OF FACTORY WARRANTY***, ***CLEAN CARFAX***, ***ONE OWNER CARFAX***, ***CERTIFIED***, **NO PRESSURE SALES STAFF**, LEATHER INTERIOR, *LOCAL TRADE IN*, *TOUCH SCREEN*, HEATED STEERING WHEEL, BACK UP SENSOR, NOT A RENTAL VEHICLE. Odometer is 13703 miles below market average! *Sales price includes $500-1,000 finance discount. You must finance with Ally Bank, Chrysler Capital or one of our Credit Unions to obtain the $500-1000 finance discount. Factory subsidized interest rate loans are not eligible. If you do not finance or lease, then you are not eligible for the $1000 finance discount and your sale price will increase by $500-1000. Internet price and payments subject to change at Dealer discretion. Check with dealer for most updated information. CARFAX One-Owner. Clean CARFAX. Certified. FCA US Certified Pre-Owned Details: * Vehicle History * 125 Point Inspection * Roadside Assistance * Limited Warranty: 3 Month/3,000 Mile (whichever comes first) after new car warranty expires or from certified purchase date * Warranty Deductible: $100 * Transferable Warranty * Includes First Day Rental, Car Rental Allowance, and Trip Interruption Benefits * Powertrain Limited Warranty: 84 Month/100,000 Mile (whichever comes first) from original in-service date To see more vehicles like this one right here just click on http://www.saltlakevalleychryslerdodgeramjeep.com/ or dial 801-484-8755. 2010 Jeep Wrangler Unlimited Rubicon ***NAVIGATION / GPS***, ***KEYLESS ENTRY***, ***PREMIUM WHEELS***, ***LOW MILES***, ***TOW PACKAGE / TRAILER HITCH***, ***CLEAN CARFAX***, HARD TOP, 4-Wheel Disc Brakes, 6.5" Touch Screen Display, ABS brakes, Air Conditioning, Brake assist, Class II Receiver Hitch, Cloth Bucket Seats, Compass, Driver door bin, Dual front impact airbags, Electronic Stability Control, Front anti-roll bar, Front Bucket Seats, Front Center Armrest, Front fog lights, Illuminated entry, Integrated roll-over protection, Leather steering wheel, Low tire pressure warning, Occupant sensing airbag, Outside temperature display, Panic alarm, Passenger door bin, Performance Suspension, Power steering, Power windows, Quick Order Package 24R, Rear anti-roll bar, Remote keyless entry, Security system, Speed control, Split folding rear seat, Supplemental Front Seat Side Airbags, Tachometer, Tilt steering wheel, Traction control, Trailer Sway Damping, Trailer Tow Group, Trailer Tow w/4-Pin Connector Wiring, Trip computer. Clean CARFAX. To see more quality vehicles like this one right here just click www.guspaulos.com or dial 801-969-8221. ***BLUETOOTH WIRELESS / HANDS FREE***, ***USB PORTS***, ***PANORAMIC MOONROOF / SUNROOF***, ***NAVIGATION / GPS***, ***ACTIVE BLIND SPOT MONITOR***, ***BACK UP CAMERA***, ***INTERIOR EQUIPMENT POWER GROUP***, ***POWER DRIVER SEAT***, ***POWER PASSENGER SEAT***, ***NON-SMOKER***, ***LEATHER AND LOADED***, ***PUSH BUTTON IGNITION***, ***KEYLESS ENTRY***, ***REMOTE START***, ***HEATED AND COOLED SEATING***, ***PREMIUM WHEELS***, ***LOW MILES***, ***PLENTY OF POWER AND FUEL EFFIECIENT***, ***TOW PACKAGE / TRAILER HITCH***, ***REMAINDER OF FACTORY WARRANTY***, ***CLEAN CARFAX***, ***ONE OWNER CARFAX***, **NO PRESSURE SALES STAFF**, LEATHER INTERIOR, *LOCAL TRADE IN*, HEATED STEERING WHEEL, NOT A RENTAL VEHICLE. Odometer is 39458 miles below market average! *Sales price includes $500-1,000 finance discount. You must finance with Ally Bank, Chrysler Capital or one of our Credit Unions to obtain the $500-1000 finance discount. Factory subsidized interest rate loans are not eligible. If you do not finance or lease, then you are not eligible for the $1000 finance discount and your sale price will increase by $500-1000. Internet price and payments subject to change at Dealer discretion. Check with dealer for most updated information. Awards: * 2014 IIHS Top Safety Pick To see more vehicles like this one right here just click on http://www.saltlakevalleychryslerdodgeramjeep.com/ or dial 801-484-8755. Jeep vehicles are renowned for their long-lasting performance and overall durability, which makes them a great option for car shoppers searching for a used SUV. Salt Lake Valley Chrysler Dodge Jeep Ram has many Jeep models available including the Cherokee, Wrangler, Renegade and more! From their off-road capabilities to their extensive technological amenities, these SUVs offer a host of great advantages. Our sales staff would be happy to show you our full inventory of used Jeep vehicles so that you can find one that you will love. We also offer specials on our used inventory so that you can get great value on your purchase. Adventure lovers will have a hard time finding a better option than a pre-owned Jeep SUV from Salt Lake Valley Chrysler Dodge Jeep Ram. If you are concerned about the quality of our used Jeeps, worry not! Our certified used Jeeps undergo thorough inspections to ensure they offer exceptional quality. 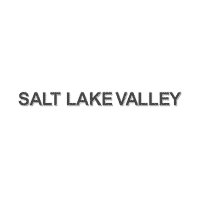 If you live in Salt Lake City, Murray, West Valley City or the surrounding communities, don’t miss out on the many advantages of shopping for a new car with Salt Lake Valley Chrysler Dodge Jeep Ram and visit us today!